Gili Air, the closest of the three Gili islands to Lombok, has the largest local indigenous population and thus you're inclined to sense a subtle authentic culture in the 'air'. Many travellers really like coming over and experiencing the community that comes with Air's incredible tropical surroundings. The years may pass, yet still the locals will point both families and couples of all ages to these shores. 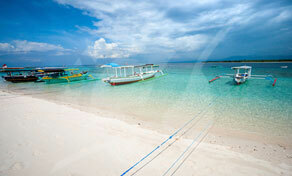 Gili Air may be best described as Trawangan without the partiers and Meno with the added cultural flavour. 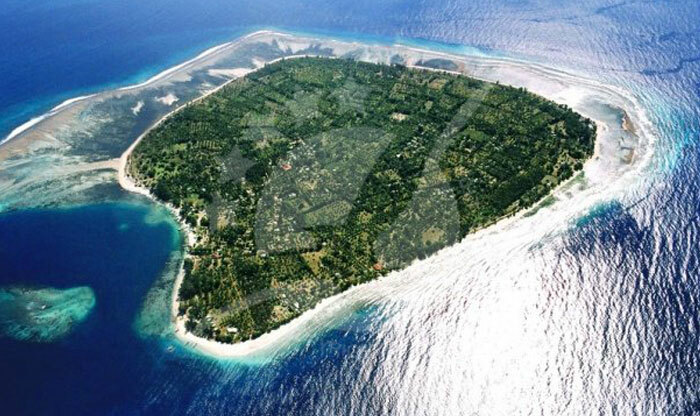 This being so, Gili Air is proving to be a popular island for young travellers and explorers who want just a little more of the 'real thing' when it comes to a rural, unspoilt island in the sun. You can take a coastal path walk around this beautiful island in around 90 minutes even at a stroll, which is just the nicest thing to do. 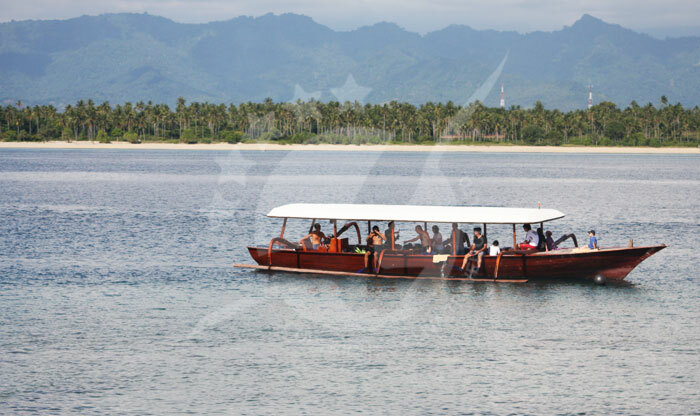 The incoming boats roll up to the beach on the south coast if Gili Air, so that's as good a place to start as any. The roads can get a bit maze-like if you head inland, but it's never long before you relocate the coastal path. There are some wonderful views of Mount Rinjani on nearby Lombok as you walk, and of course the sheer sense of peace is wonderful. It's nice to rent a bicycle for your stay and they're quite cheap. Alternatively, cidomos (horse-drawn carts) are on hand to deliver you to your chosen destination at a canter. On an island so small they're more of a luxury than a necessity though. 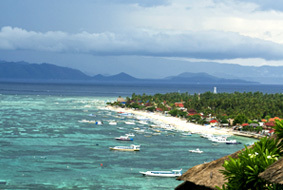 Most Gili Air activities can be found on the south and east coasts. 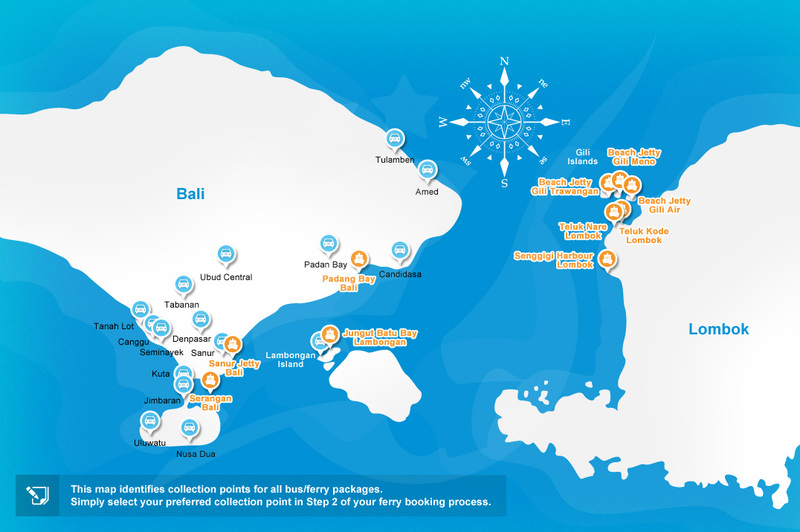 Good news for divers is that prices appear to be a little cheaper in Gili Air even though the quality of dive tuition is still as high. 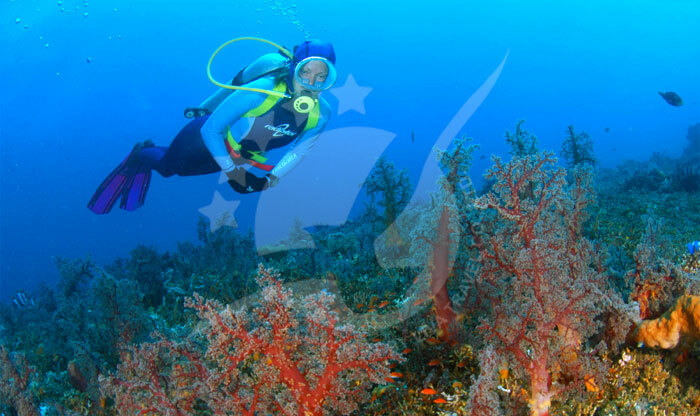 That's pretty appealing, especially when considering that in the surrounding waters can be found beautifully coloured fish, shoals of triggerfish, sharks, stingrays, frogfish, sea horses and some parrotfish. Apparently the sea turtles around here are some of the most friendly too, staying around long enough for a hello before swimming out of view! 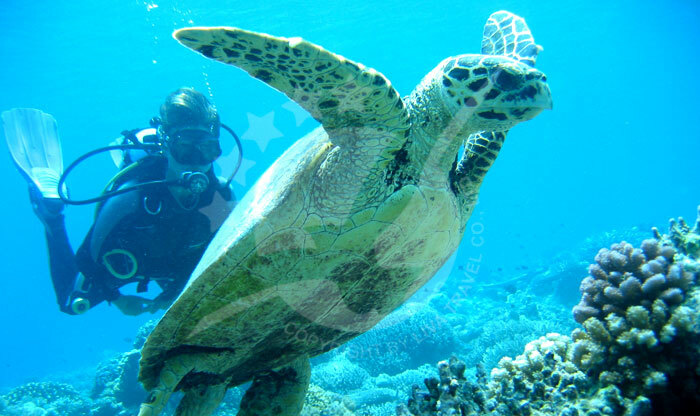 There are very few locations in the world that are so breathtaking onshore with such fantastic sealife literally just offshore. There are some great snorkelling zones, even frm the beaches, and if you really want to test your sporty sea skills, there's a kitesurf school plus facilities for windsurfing, paddleboarding, and Hobie Cat sailing too. 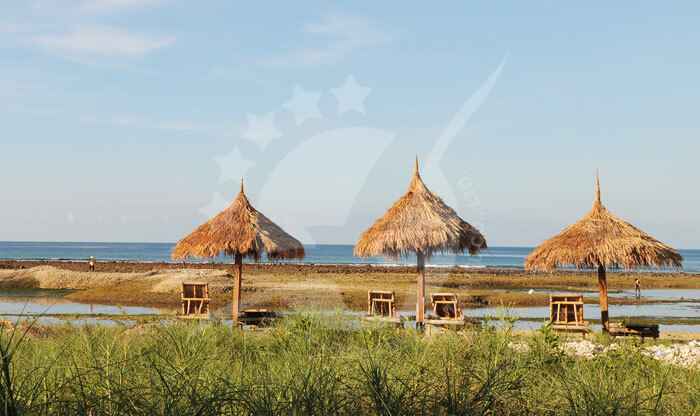 Along the east side from the jetty in the south to 'Hotel Gili Air' in the north, you will find some good restaurants, which of course are serving up totally fresh seafood grills and local Indonesian cuisine alongside the regular tourist go-to options. Tasty Italian pizza and great Spanish tapas dishes are just a couple of the great choices available. Daytime strolling for a coffee and an open air meal does not normally take on such tropical paradise dimensions, enjoy it and milk it for all its worth! Just inland from the beaches there are some cheaper venues selling the usual local dishes. 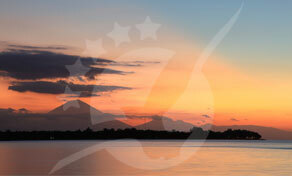 Nights on Air are special too, though not as wide ranging as that on Gili Trawangan. Still, parties in heavenly settings are the norm, as the more popular bars take it in turns to host their weekly special nights for the islands holiday people with nice musical diversity. 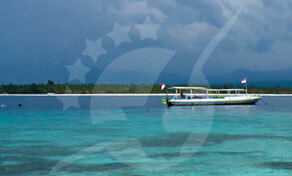 In Gili Air, there's accommodation for all budget levels, due to the diversity of travellers to these shores. Don't be concerned if you are on a low budget because there's plenty of options for you over on the east side. Choices range from the old-style wooden bamboo thatched lodges to the more modern little chalets and cottages with simple amenities. Some of these cheaper places are such great value, with the owners doing their best to create a warm and friendly home environment, cooking up some good basic food and taking time to get to know you, which is actually priceless! Mid range accommodation is a little nicer of course, with nice gardens, lazy hammocks, modern appliances and often special views. Then of course there's a handful of higher-end contemporary boutique villas with nice art, a blend of luxury and privacy, and splended views.